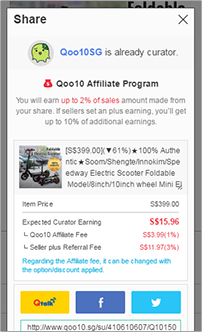 Open your shopping gallery with millions of products at Qoo10, enjoy sharing shopping knowledge with fellows and be rewarded handsomely. 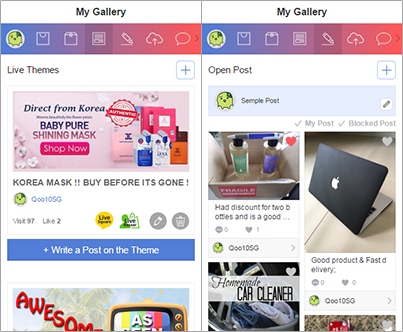 With easy sign up, you have your own shopping gallery. Share your shopping know-how and Get rewarded. 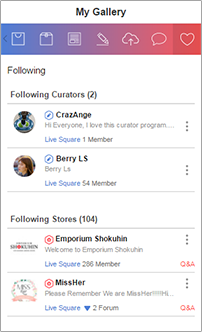 Curator Reward Program rewards curators for sharing any Qoo10 shopping contents to external sites or Live10 by Qoo10 affiliate fee and also for shoppingTalk activities such as creating post, theme and bazaar for Item Referral items by Item Referral Fee. 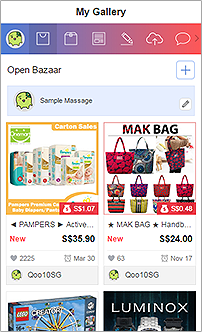 Item Referral Fee will be added if item with Item Referral Fee set by sellers is sold through shoppingTalk pages [ post, theme, bazaar] or external share links. 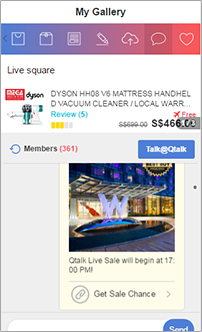 Open Live Square to have real time shopping talks and send messages to your friends with Live10. 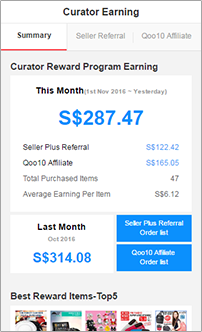 Curator Earning will be automatically accrued to your account monthly.